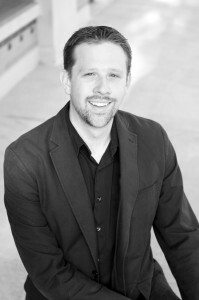 Ryan Ross is the Music Director and Conductor of the Allen Philharmonic Orchestra, a professional symphony orchestra in Texas, as well as Director of Orchestras at Plano West Senior High School. He has been privileged to lead four TMEA Honor Orchestras, including the 2019 string orchestra, 2018 full orchestra, and 2016 string orchestra at Plano West and the 2014 full orchestra at Jasper High School (the only non-varsity orchestra ever to earn that distinction). While the director at Plano West and Jasper his orchestras were the recipient of several additional recognitions, including a 2018 invitational performance at The Midwest Clinic and National Winner status in the Mark of Excellence National Orchestra Honors and The American Prize for Orchestral Performance. Prior to working in Plano, Mr. Ross taught at Lewisville HS (Lewisville ISD) and Williams MS (Rockwall ISD). In addition, he served for five years as Music Director of the East Texas Youth Orchestra in Tyler and four seasons as Artistic Director and Conductor for the Dallas Festival of Modern Music and its resident professional chamber ensemble, Ars Nova Dallas. Originally from Saint Louis, Missouri, Mr. Ross earned his bachelor’s degree in music performance from the University of Illinois at Urbana-Champaign and a Master of Music degree in orchestral conducting from Texas Tech University. His principal conducting teachers are Gary Lewis and Donald Schleicher, supplemented by additional study with Marin Alsop, Gustav Meier, Larry Rachleff, and Larry Livingston. Mr. Ross frequently guest conducts and clinics across America. Prior engagements include dozens of all-region and district honor orchestras throughout Texas as well as clinics and concerts in Oklahoma, Florida, Alaska, New Mexico, Nevada, Wisconsin, and Oregon. He holds membership in TMEA, TODA, and TMAA, and he has presented clinics on multiple occasions at the annual conventions of TODA and TMEA.